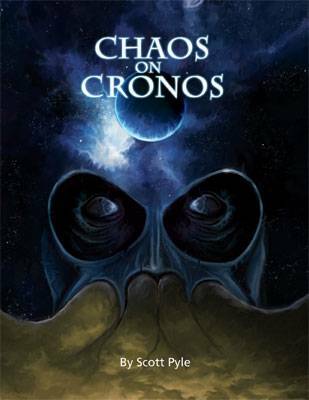 Rocket into the far future with Chaos on Cronos, the Goalsystem tabletop miniature game of Pulp Science Fiction! Chaos on Cronos is a skirmish game designed for heroic scale 28mm miniatures, and uses designs and characters from Blue Moon Manufacturing's excellent line of Spacemen and Aliens. Cronos works great with as few as 5 figures per side - and using the Goalsystem?s innovative Robot Legion rules, can accommodate as many as 20-30 figures per side! All you need to play are these rules, a handful of six-sided dice, and some Blue Moon miniatures! Cronos also features complete model-creation rules, so you can stat up your favorite Pulp sci-fi heroes, villains, and soldiers for battle!